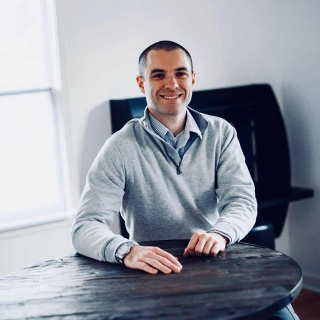 Today’s Beginner to Blogger interview is with Jeff Proctor of DollarSprout.com. Jeff runs DollarSprout with his friend from college, Ben Huber. 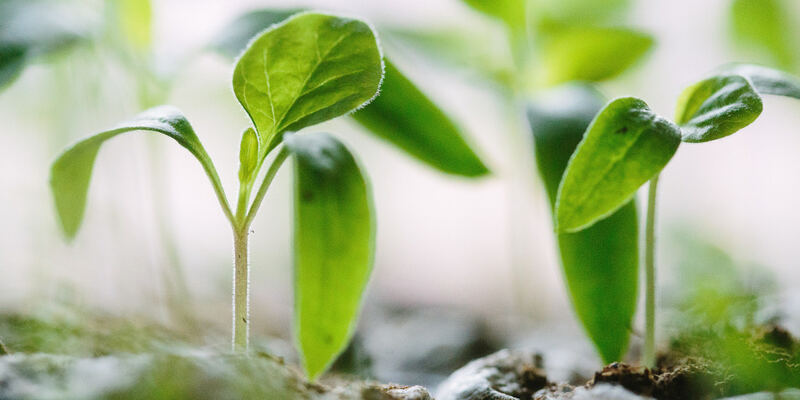 The mission at DollarSprout is to bring some of the best personal finance experts and writers together to create content that helps people make smarter financial choices. I remember first getting interested in personal finance and investing back in 2008, which was my freshman year in college. That was back when the housing crisis was starting to unfold, and the stock market was going crazy. I didn’t really have any concept of what was going on at the time, but the fact that everybody was talking about it piqued my interest. From that point on, I was fascinated by the market and how it was making (and losing) fortunes for people. That initial interest then sparked my desire to learn everything I could about all areas of personal finance – not just investing. Even though it’s been over a decade since the housing crisis, my interest in personal finance is still very strong. I see focusing on it as a way of life, similar to going to the gym or eating healthy. When I first started investing, I made the mistake that so many other people also make: I started putting money into risky stocks. One example that I vividly remember is buying into a small biotech company that had an FDA approval date coming up. After doing some research, Ben and I figured this was as close to a slam dunk as we could get and we decided to put in a sizable amount of money (to us, at least). As fate would have, the drug did not get approved and the stock price plummeted over 50% in just a matter of hours. It felt like a punch to the stomach at the time, but it taught me a valuable lesson about not risking more than you can afford to lose in the stock market. From then on, we were both more cautious with our investments. That’s not to say that we didn’t still take risks and have some investments go south, but we definitely had a better understanding of the potential downsides. Right now I would say that my biggest weakness when it comes to personal finance is eating out. I eat out all the time. Part of why I do this is because I really hate grocery shopping and I hate cooking even more. To me, it’s much more appealing to pay a little bit extra and have something made for me right then and there. I’m still trying to get better about this, and I’ve even experimented with some meal kit delivery services to see if they might help. So far I haven’t yet found one that’s cost-effective, but I’m optimistic that someday I will. One caveat to my “eating out” weakness is that I never order a soft drink with my food; I always get water. Soda is one of the highest profit margin items of any restaurant, so by choosing to routinely not order with my food, I’m able to save a lot more than the average person who eats out as much as I do. To me, financial independence is about having more money than I will ever need. I know that saying that might ruffle some feathers, but that’s just how I look at it! In my mind, it’s not about building up a nest-egg to where it’s just big enough that I can live off of 4% each year as I draw down on it until I die (all while hoping that the market doesn’t throw me off my game plan). I don’t want to put all this effort into saving up $1M… only to stop working altogether and live off of $40k/yr the rest of my life. I want to work as long as possible (assuming that I still enjoy what I am doing). 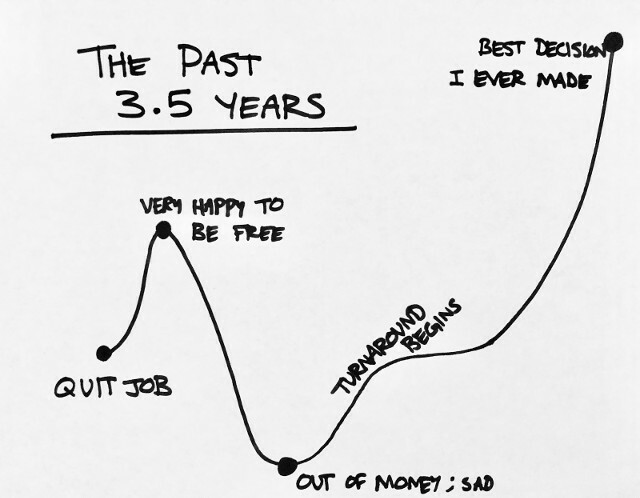 I guess I’m more of a fan of financial independence than I am of retiring early. I think that if you have the skills and discipline necessary to reach financial independence, a lot of people stand to benefit from you staying in the workforce. That doesn’t mean you need to stay in the same job if you hate it, but I personally think we should feel a moral obligation to live up to our full potential. Retiring in your thirties or forties doesn’t line up with that idea (in my mind, at least). A major part of making my personal finances a priority was deciding to take a shot at starting my own business (my blog). My first job out of college paid $8 an hour, but even after moving up the ranks a lot in just a two-year span, I was still only making $40k a year. Not enough to pursue my own idea of financial independence, let alone live even remotely above mediocrity. The first couple of years of entrepreneurship were definitely scary and among the most stressful times I’ve ever faced. During that time, my quality of life declined because I was so worried that things were not going to work. Persistence finally paid off (nearly 4 years later), and now I’m making far more than I ever made before, all while no longer having to answer to a boss at a job I hate. This freedom has given me so much happiness that I did not have before. My biggest piece of advice for someone just starting their career is to always keep your eyes open for new opportunities and think about how things can be done better. 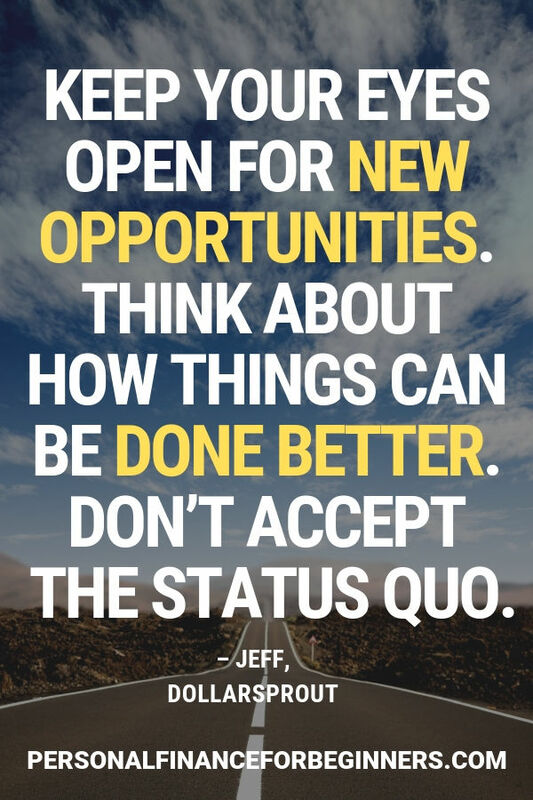 Don’t accept the status quo. Don’t focus as much on moving up the corporate ladder, but instead focus on how you can become more valuable to your employer and/or your clients. I think a lot of times new graduates settle into a new job and get comfortable, rather than keeping a proactive – and capitalist – mindset. The biggest winners in our society are usually those who are delivering the most value, not the ones who stay stagnant or sneak in the occasional promotion based on tenure. That rich people are any different than you. They’re not. Growing up, it was always instilled in me that some things were just “what rich people do” or that that neighborhood “is where the rich people live,” etc. It subconsciously made me resent successful people and ingrained in me the idea that they were somehow “better” than us. This is a horribly unproductive and inaccurate mindset, and it gives way too many people excuses for why their lives are not going in the direction they want. I recently started using multiple savings accounts for each short and medium-term financial goal that I have. I used to always be somebody who just kept everything all together in one checking account, which made it hard for me to keep track of where I was in terms of reaching my goals. Since I began using multiple savings accounts to keep track of individual goals, I’ve been able to stay much more disciplined and hit my savings targets faster. For instance, whenever I get paid now, the first thing I do is transfer some of the money from my checking account into each savings account (for things like a down payment, emergency fund, engagement ring, etc). It seems so simple, but I swear this has helped me a ton! I honestly don’t really splurge on anything! The only big purchase that I really want to make one day is buying a house on the beach, but other than that, I am a fairly modest spender. I will say, I’m starting to put a higher value on purchases that save me time, which is something new for me. For instance, experimenting with meal delivery kits. While this book isn’t strictly personal finance related, I think it can have a tremendous effect on someone’s financial success. It’s a bit rah-rah at times, but it’s definitely an eye-opening book that is well worth the read. I hated my job and wanted to find a way out! We are so lucky to live in a time where it’s possible to change people’s’ lives and earn a living through the internet. If you hate your 9 to 5 and want a way out, don’t ignore this opportunity!